The 108 Manual Sputter Coater is an ideal system for sample coating with Au of non-conducting samples for standard SEM or tabletop SEM imaging. The economical desktop unit is simple to operate, offers rapid pumpdown times, fine grain coatings and negligible sample heating. 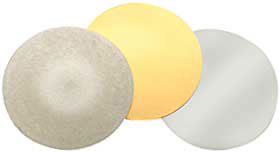 The safety interlocked sputtering supply is fully variable and the sputter current setting is not influenced by the vacuum level. 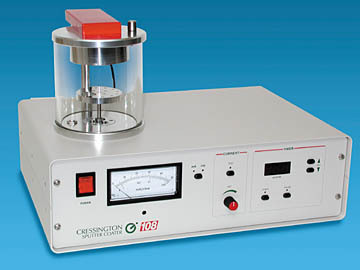 Cool, fine-grain sputtering is achieved with a very efficient low voltage DC magnetron head. The standard manual coater has fully variable current control, precision needle valve, digital process timer with "pause", variable height specimen table, hinged top plate and O-ring sealed vacuum chamber. 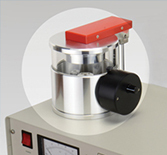 The 108 Manual Sputter Coater can be factory fitted or retrofitted at any time with our Prod. No. 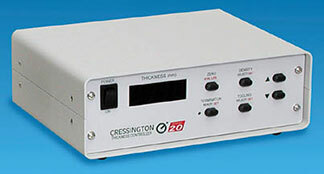 93004, MTM-10 High Resolution Thickness Monitor (optional). 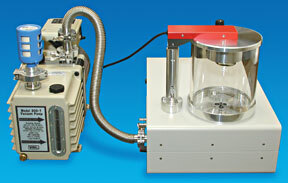 Optional R-T Stage is available for the 108 Manual Sputter Coater. 6002 108 Manual Sputter Coater,115VAC* each P.O.R. 6006 108 Manual Sputter Coater, 220VAC* each P.O.R. 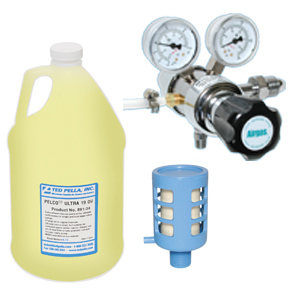 *The 108 Manual Sputter Coater includes: 91110 Gold Target, (57mm dia. x 0.1mm); 7021 Specimen Mount Stage for 12 pin mounts; Operating Instructions.